Getting the balance right can help the body to stay in prime condition, but what is the right balance of nutrients? People have been arguing over the ideal mix for generations and the discussion still rages today. For people with diabetes, there is at least one extra consideration for our nutritional needs and that is the question of how our blood sugar levels will respond to different diets. Why Does it matter what I Eat? There isn’t one specific “diabetes diet.” Your doctor will probably suggest that you work with a registered dietitian to design a meal plan. A meal plan is a guide that tells you what kinds of food to eat at meals and for snacks. The plan also tells you how much food to have. For most people who have diabetes (and those without, too), a healthy diet consists of 40% to 60% of calories from carbohydrates, 20% from protein and 30% or less from fat. It should be low in cholesterol, low in salt and low in added sugar. Yes. In recent years, doctors have learned that eating some sugar doesn’t usually cause problems for most people who have diabetes–as long as it is part of a balanced diet. Just be careful about how much sugar you eat and try not to add sugar to foods. In general, at each meal you may have 2 to 5 choices (or up to 60 grams) of carbohydrates, 1 choice of protein and a certain amount of fat. Talk to your doctor or dietitian for specific advice. Carbohydrates. Carbohydrates are found in fruits, vegetables, beans, dairy foods and starchy foods such as breads, pasta and rice. Try to have fresh fruits rather than canned fruits, fruit juices or dried fruit. You may eat fresh vegetables and frozen or canned vegetables. Condiments such as nonfat mayonnaise, ketchup and mustard are also carbohydrates. Protein. Protein is found in meat, poultry, fish, dairy products, beans and some vegetables. Try to eat poultry and fish more often than red meat. Don’t eat poultry skin, and trim extra fat from all meat. Choose nonfat or reduced-fat options when you eat dairy, such as cheeses and yogurts. Fat. Butter, margarine, lard and oils add fat to food. Fat is also in many dairy and meat products. Try to avoid fried foods, mayonnaise-based dishes (unless they are made with fat-free mayo), egg yolks, bacon and high-fat dairy products. Your doctor or dietitian will tell you how many grams of fat you may eat each day. When eating fat-free versions of foods (such as mayonnaise and butter), check the label to see how many grams of carbohydrates they contain. Keep in mind that these products often have added sugar. The macronutrients referred to in human diets are the three food groups that provide us with energy, namely: carbohydrates, fat and protein. The three major nutrients are more than simply providers of fuel for our bodies. Fats and protein are both vital for building cells and helping the cells carry out their duties. Each of the macronutrients are versatile allowing the body to break them down into a number of uses. Carbohydrate can be stored as fat and fat and protein can both be converted into glucose for example. Micro may mean small, but micronutrients are far from insignificant. Without a regular supply of micronutrients, our bodies would literally starve. Micronutrients include all vitamins and minerals . We take it in, often without realising, and are an essential part of a diabetic diet. As an example, celery contains well over a dozen different micronutrients including a number of vitamins, potassium, calcium, iron and more. Micronutrients such as niacin, magnesium, calcium, zinc, carnitine, inositol, alpha-lipoic acid, as well as vitamins E, B6 and D all play an important role in the prevention and management of people with diabetes. All of the herbs and spices listed here have anti-diabetic and/or anti-inflammatory properties and can be sprinkled on any meal to help reduce the chronic inflammation in your body. So when you’re cooking your next meal, toss in some of the herbs and spices listed below. And don’t be afraid to experiment in order to get it just right: By trying new combinations, you’ll learn which herbs and spices offer the best flavors for your dishes and how much you prefer to use. 4.http://Diabetic Meals in 30 Minutesor Less! This is a great blog for people with diabetes. I believe that one with this condition can’t get enough support. I esp love your FAQ section which explains everything from what diabetes is to what the methods of treatment are. I’d love to see food choices and recipes in the future to help give all others some ideas on what they can consume and eat. Hi Tiffany thanks so much for your kind comments.I so agree being a type 1 diabetic myself I am thankful for any support and advice I receive.Great suggestion about putting food choices and recipes in the website will definitely do this. Diabetes is a big problem. Nutrition can play an extremely big part in maintaining your blood sugar levels. I found that not eating sugar and not raising my insulin level allows me to have a much steadier blood sugar level.I am not diabetic but I do have many diabetics in my family. Thanks for your post. I will check back soon. Thanks for your comment Kristie I hope this website will be beneficial for the diabetics in your family. I have family members that are diabetics and I think this site is wonderful. Diabetes affects a lot of people and the more information we can get the better. I like the recommended herbs and spices for diabetics. Great pointers on what you should and shouldn’t eat and the health benefits that each one has. I’ll be sure and share your site and information with my loved ones! Thanks so much for your kind comments I really appreciate them. If any of the diabetics in your family have any suggestions or opinions on what topics they would like to see in this website please let me know. The more input received the more knowledge, support and information us diabetics will gain from this site. A super article. So much information to read. I didn’t get all the way thru today, but I did bookmark it so that I can continue. 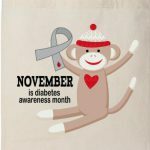 There is a lot of info I need because I am border line type 2 diabetic. I will be putting some of your advice to use. I also checked out your diets. Some really good ideas in there for me. So happy you find the website helpful.I only set it up very recently so i plan to add loads more topics. If you have any ideas what you would like included in the website please let me know and i will do my best to include them. About a year ago I took care of a friend coming back from the hospital after having a stroke. All I had to do was cook meals and be at hand just in case, so I went about my normal routine just checking before cooking to see if it sounded ok to him. He is an insulin dependent diabetic who has lost both lower legs to diabetes. In the beginning he was taking pretty large doses of insulin. Soon he started having trouble with feeling his blood sugar drop lower and having to get up in the middle of the night and eat candy to raise it. When the caretaker people came around they realized that his normal blood sugar was running so much lower because I was cooking and feeding him such healthy stuff, and he was able to cut his insulin dose into like a third because his sugar wasn’t jumping up and down so much. All I did was really simple food. I tend to make low carb meals, and then for him I would add a potato in, or something like that, to balance things: For instance, hamburger, salad and a potato. Turkey burger, sweet potato fries, and a salad. Mixed Vegies, Salmon, and a potato. REALLY SIMPLE. I was shocked when I got to his house to prepare for him coming home and found ALL SORTS of packaged crap everywhere… cabinets, frig, and stashed CANDY! This man had no business eating like that. I really couldn’t believe it, and I tossed every single bit of it but the Reeses cups he kept by the bed for “emergency”. It proved to me that food was such a critical – AND OBVIOUS – regulator of diabetes. Why do you think people suffering from this disease – even to the point of LOSING LEGS – still eat crap food? I just don’t get it. Firstly i just want to say what a good kind person you are to look after your friend so well.You are doing everything possible to improve your friends health and quality of life. I think some people eat crap food because they were brought up on that type of food therefore know no different-lack of knowledge. Also some people are just too lazy to be bothered cooking properly and eat takeaways and unhealthy food instead. Some diabetics are in denial they dont want to admit to themselves they have a chronic illness so end up eating things they know they should not eat-trying to rebel against the disease. The truth is its very hard illness to manage i know i have had it for years even though food is a big factor it is not the only factor. There is the medication,constantly having to check your blood sugars,injecting insulin or taking tablets,physical activity and stress also affects diabetes. Adding all these factors together it also can cause social and psychological problems. Alex you are helping your friend both physically and emotionally being there for him. I am so delighted with all the kind comments i am receiving about this blog. If you have any suggestions or ideas of other topics relating to diabetes and healthy living that would interest you i would be very happy to do my best to include them in the website. Thank you for viewing my website.So happy you found it informative its great people are finding the site so helpful its encouraging me to continue adding more posts and articles. I really appreciate your complimentary comments.Delighted you found the content in my article so useful. Happy that this website met all your requirements.Will be adding loads more interesting topics so please check out this website again in the future. I have seen the affect of a poor or incomplete diet on a diabetic person. My ex-brother in-law is a diabetic and when his sugar was too low, you would of thought he was drunk. Lots of diabetics will become mean when there sugar is low. It can be very dangerous if no one is around when this happens . Low blood sugar levels can happen to people with diabetes because of the medicines they have to take. People with diabetes may need a hormone called insulin and/or diabetes pills to help their bodies use the sugar in their blood. These medicines help take the sugar out of the blood and get it into the body’s cells, which makes the level of sugar in the blood go down. But sometimes it’s a tricky balancing act, and blood sugar levels can get too low. People with diabetes need to keep their blood sugar levels from getting too high or too low. How do they do it? They keep three things in balance:eating,exercise,taking medicine. Each one of these can affect the other. For instance, eating more might mean a diabetic needs more insulin. and exercising might create the need for an extra snack. There are a bunch of symptoms that someone with low blood sugar might have. It’s not the same for everybody. When blood sugar levels are low, the goal is to get them back up as quickly as possible.. Sometimes, blood sugar levels can get very low and a diabetic might not feel well enough to eat or drink something sugary. When this happens,diabetics need to get a glucagon shot. Glucagon is a hormone that helps get your blood sugar level back to normal very quickly. If you don’t have a glucagon shot or you dont know how to use one you should call the emergency services immediately. My mom is a diabetic patient and I’ve been told that she shouldn’t take too much rice (we live in Asia where rice is the base of all our food). We changed to brown rice, but she didn’t like it so she’s taking really small amount of carbs for her meal. Your article has given me something to think about in regards to her carbs intake and I am concerned that she might not be consuming enough for fear that carbs can cause her sugar to rise dramatically. I think we should speak to a dietitian than trying to figure out everything by ourselves. Rather than plain brown rice your mother could try eating basmati rice its a lot easier to digest and more tasty. Wholegrain Basmati rice has the lowest GI (glycaemic index) of all rice types, which means once digested it releases its energy slowly keeping blood sugar levels more stable, which is a crucial part of diabetes management. Steaming rice helps to better maintain the structure of the grain compared with boiled rice so generally steamed rice has a lower GI than boiled. Wholegrain Basmati rice is also a good source of fibre which is important for gut health and improves bowel function. Both wholegrain and white Basmati rice contains a type of fibre known as resistant starch. This has a prebiotic effect in the bowel, which means it can help to increase the number of friendly bacteria. This in turn, protects the bowel and keeps it healthy and boosts the bodys immunity. Resistant starch also increases satiety, helping to keep you feeling fuller for longer, so including Basmati rice in a meal can help regulate appetite and prevent cravings for sugary drinks and snacks between meals. Both wholegrain and white Basmati rice has a superior nutrient content compared with other rice types. They contain higher amounts of B vitamins and minerals such as copper and magnesium. The higher magnesium content found in Basmati can help with blood sugar control.and can make a valuable contribution to the diets of people with diabetes. Basmatis from India and Pakistan can be found in specialty shops and South Asian groceries. Everyone needs to eat a certain number of calories to survive. Calorie needs depend on gender, age, height, activity level, current weight, and the number of calories your body burns at rest. It is a good idea for you and your mother to talk to a dietitician who can help you figure out the amounts of calories and carbs that are right for your mother. Another thing that can help with diabetes and Chemo is, Aloe Vera Juice. Aloe Vera juice can help your immune system remain strong and keep it strong as a patient is going through these hard treatments. Yes there is recent evidence supporting the theory that aloe vera can lower both blood sugar and cholesterol – in people with type-2 diabetes. Aloe vera juice may also have applications for treating digestive disorders.Aloe is rich in potent phytocompounds – that attack pain and swelling and promote healing. Buy commercial aloe vera juice from a reputable supplier and, of course, always look for ‘untreated’ – organic juice. If you dislike the bitter taste of aloe, you can mix it with other juices to make it more palatable. Ask your doctor before using aloe vera juice, especially if you have kidney or liver disease. Plus, you may want to avoid aloe if you’re allergic to garlic or onions.